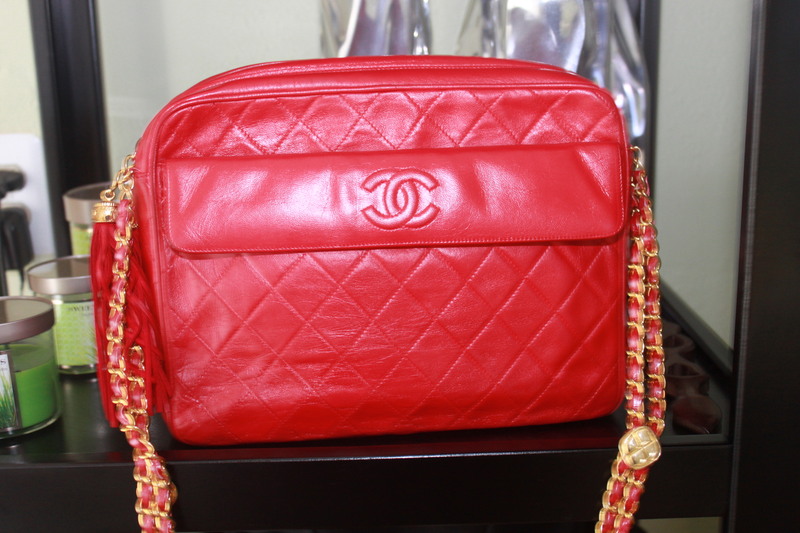 A dressy vintage Chanel handbag. 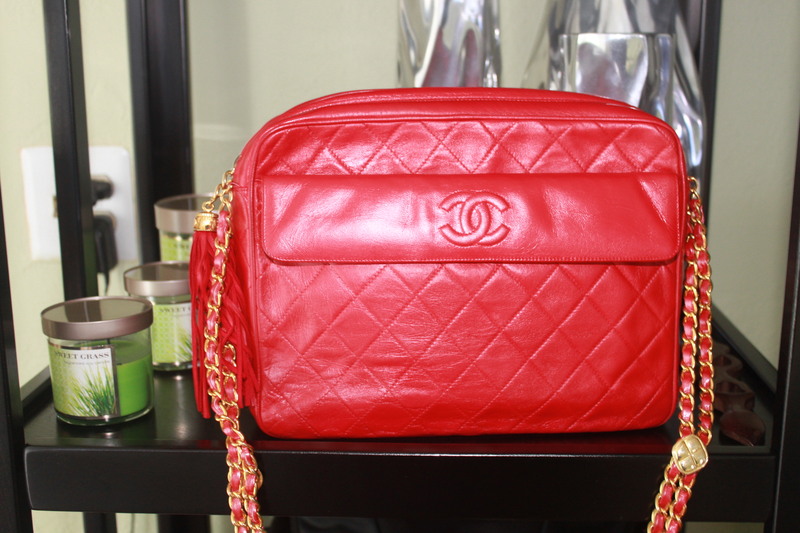 This camera bag Chanel handbag is red lambskin with shiny gold hardware. 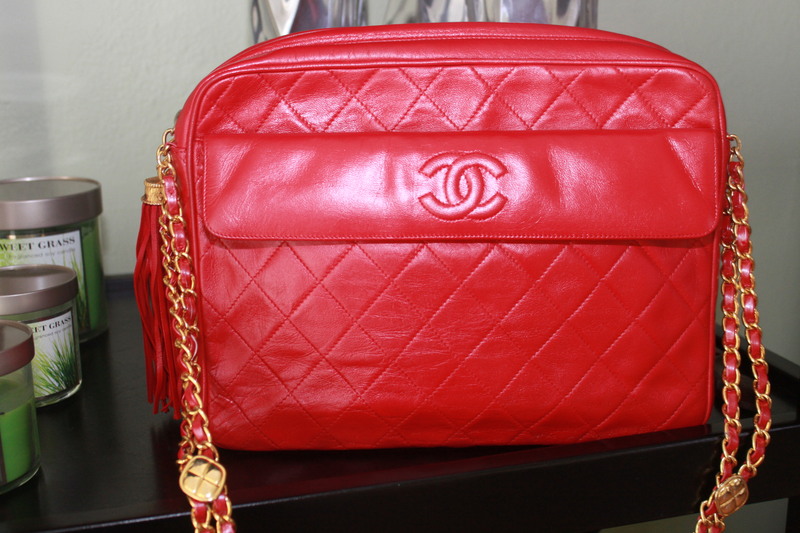 Check out the stylized charms on the chain and the red leather tassel.